According to Travis A. Gladue of the Bigstone Empowerment Society (BES), the building intended to house a museum in Wabasca has been completed. At the same time, efforts to repatriate artifacts from the Wabasca area are well underway and showing signs of successful completion. A story appeared in the Lakeside Leader in early February on this topic, with photos of some of the artifacts. It can be found online at lakesideleader.com. There is a lot of work to be done, but museum society president Mike Beaver says the renovation used up all the money and more has to be raised. Beaver says a barbecue at the newly-renovated location is being planned for some time this month. He’ll also be approaching local companies and others to ask for financial contributions. Eventually someone will have to be hired to organize the collections and look after the place. As for the items at the RAM, Beaver says it’s too soon to say when they’ll be repatriated. Secure cabinets are needed, for one thing. But in the meantime, Beaver is keen to hear from people who may have items to donate to the museum. 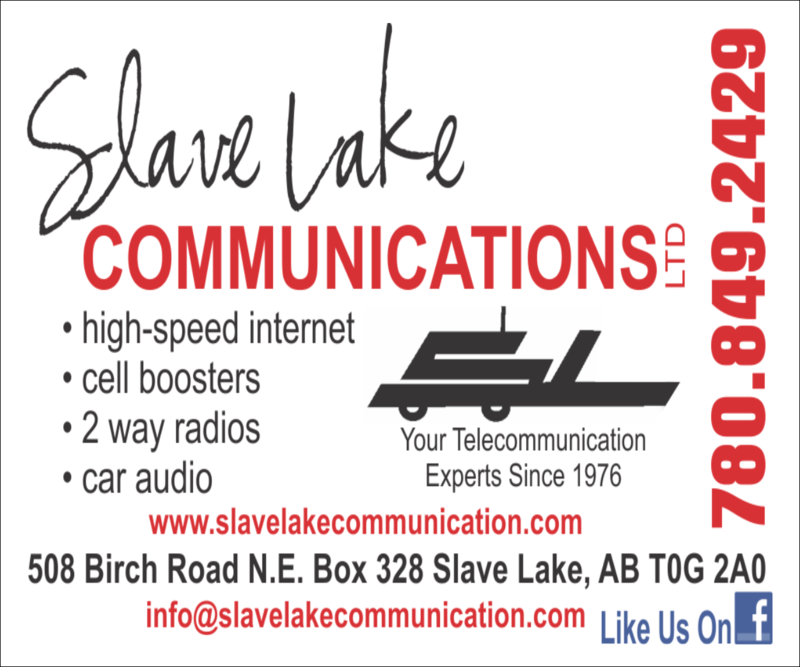 Beaver welcomes phone calls at 780-891-0726. Included in Gladue’s email were copies of letters from two Members of Parliament – Arnold Viersen and David Yurdiga. Both express support for the idea of repatriating cultural artifacts to the new museum. 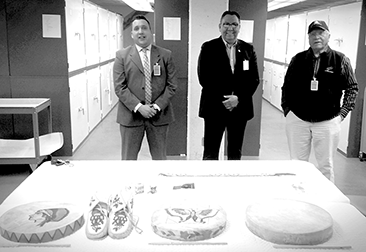 Travis A. Gladue, left, and Ralph Cardinal, centre – both of the Bigstone Empowerment Society, along with Wabasca museum society president Mike Beaver at the Royal Alberta Museum, with artifacts destined for display at the new museum in Wabasca.